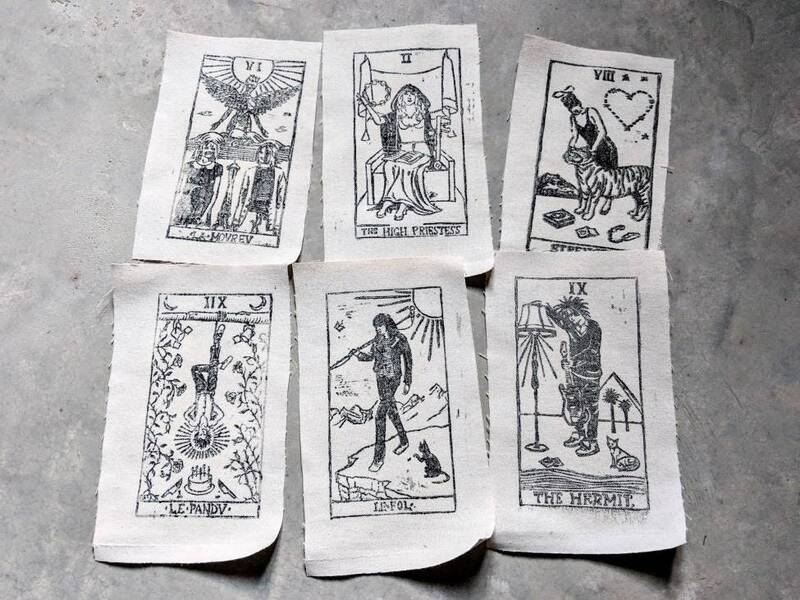 These patches are inspired by the classic Rider-Waite tarot, re-imagined with legendary rock stars as the major arcana. 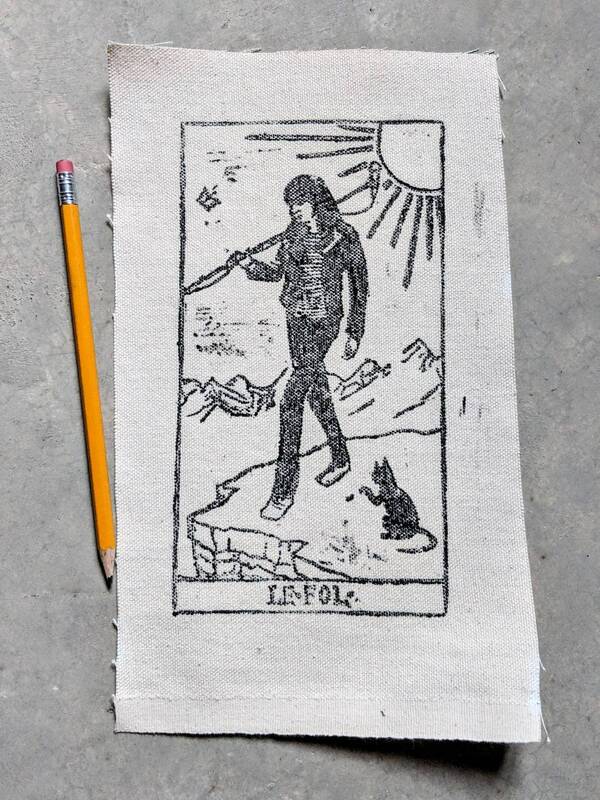 A collaboration between Reware Vintage and Subversive Image, they feature some of our favorite musicians, and are hand pulled from a hand carved linoleum block. 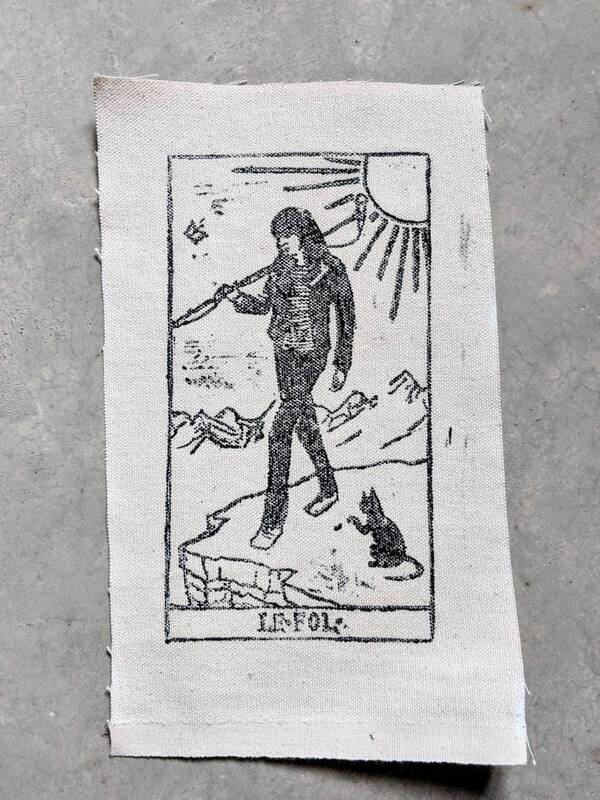 The image is 4.25" by 8" and we will leave at least a quarter inch of fabric around the image. Great seller. Great artist. Amazing, quick communication. Awesome artwork. Thank you so much for the extra gift, Jeff! That was above and beyond.